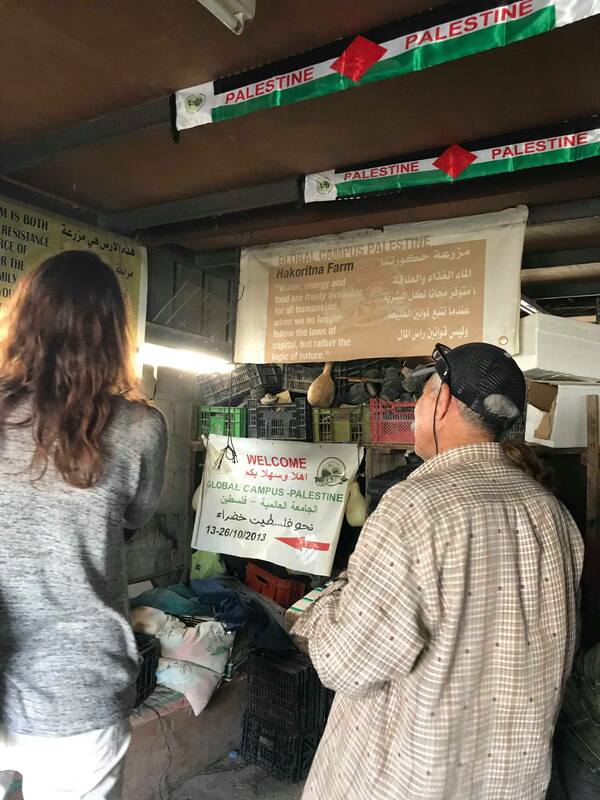 On Tuesday 13th November 2018, IWPS had the pleasure of visiting the Hakoritna organic farm in Tulkarem, Occupied Palestine. We met with the owner Fayez Taneeb. Hakoritna is trapped between several illegal Israeli industrial settlements and the Israeli apartheid wall. The illegal settlements produce toxic chemicals and carcinogenic air around Tulkarem. As we walked along the industrial road from Tulkarem city, the surroundings changed from the hustle and bustle of the city to the feeling that we were in a ghost town. We were reminded of Shahada street in occupied Al-Khalil (Hebron). Shops had been closed, the gas station was empty, trees and plants have died on the road side. The only vehicles that passed were lorries going into the industrial settlement. 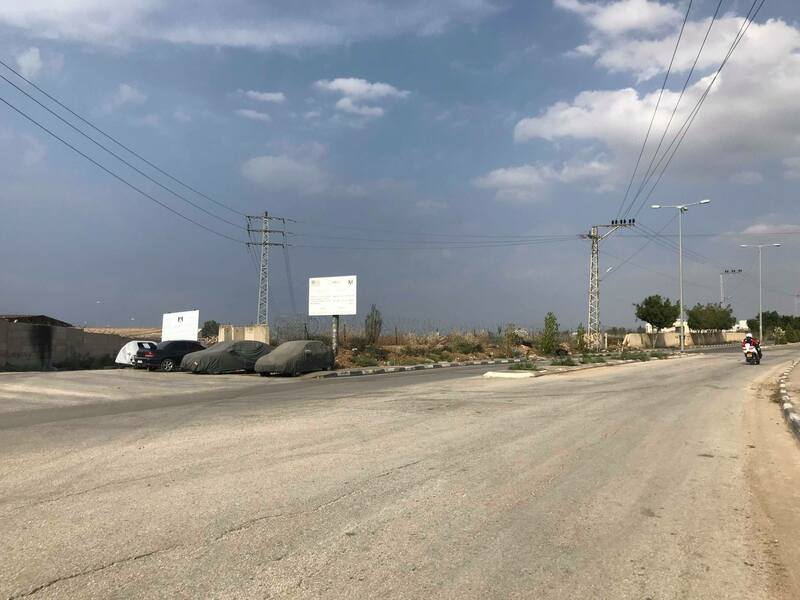 The factories are surrounded by huge walls, we walked past the entrance – the entrance for Palestinian workers only – which is shown in this picture. 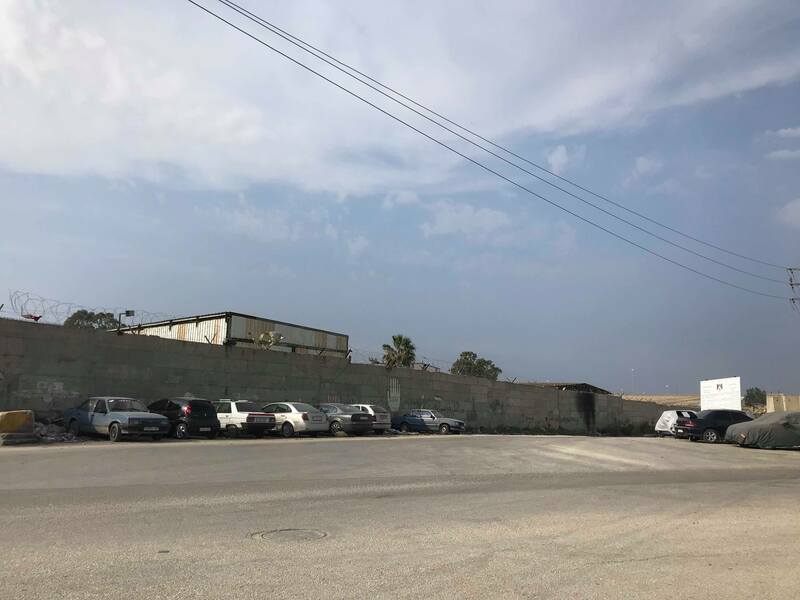 The factories were moved to Tulkarem from the town of Netanya, which is now part of Israel on the other side of the apartheid wall, after an Israeli court case issued that the factories were emitting toxic chemicals into the air in 1982. Israel took land from the outskirts of Tulkarem to relocate the factories, and toxic production has continued and developed since. The pollution from the factories, the intensity of which we could smell and feel as we walked past, and chemical waste ruins the agricultural land around the settlements. Businesses have closed down and residents living nearby close their windows to keep out the toxins. Preliminary research from Brown University have linked the pollution with high rates of cancer and respiratory illnesses in the Tulkarm district, which are among the highest in Palestine. 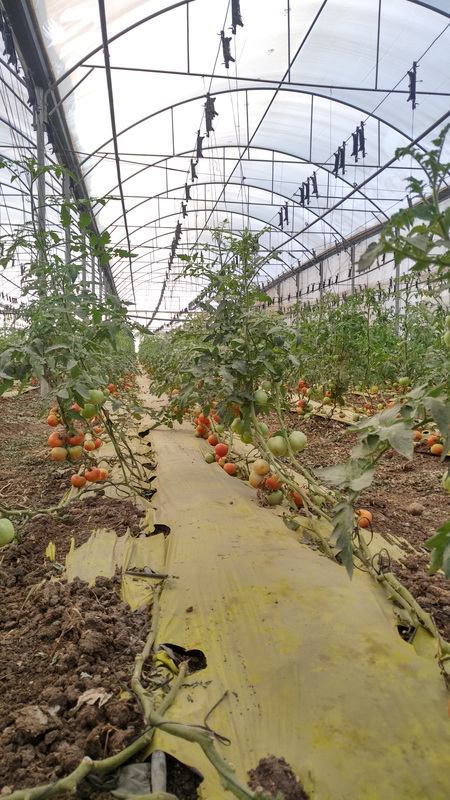 Geshuri, an Israeli agrochemical company that owns the factories, benefits from being located in Palestinian territory – amongst other things, they can bypass Israel’s strict environmental laws, and pay lower wages to workers by mainly hiring Palestinians. The factories close during the months when the wind blows the pollution in the direction of Israel. For the rest of the year, when the pollution blows into Tulkarem and it is only Palestinians who suffer, the factory continues at full capacity. The farm has been in the Taneeb family since the 1920s. In addition to problems with air pollution and chemical waste, loss of land due to the creation of the apartheid wall which runs through the farmland and use of the land for military training during the second intifada, the family have experienced continuous harrassment and property damage by the Israeli army and the Israeli factory owners with the aim of forcing the family off the land. 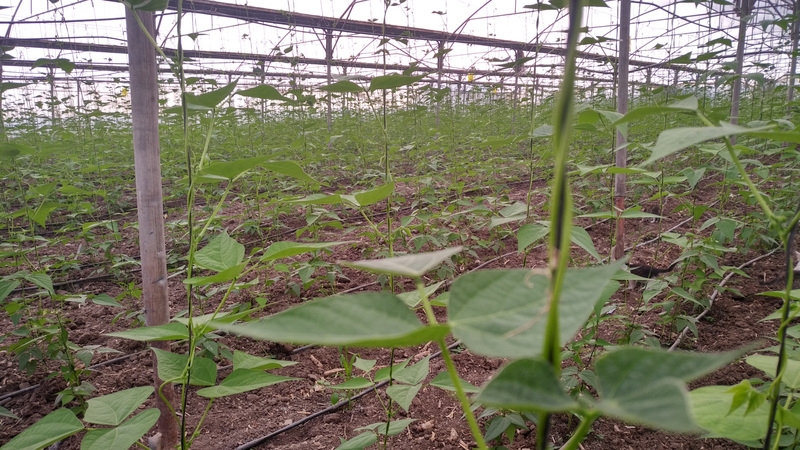 One of the biggest issues for the family now that winter and the rainy season is approaching, is that due to the location of the farm between the industrial settlement and the apartheid wall, rain water will be trapped and flood the farmland. In addition, the factories continue to expand. Rather than submitting to the continued oppression they face, the family have remained steadfast and in recent years have transformed the farm into a sanctuary of innovation and hope. Fayez and his wife Mona have rebuilt the farm to be completely organic, using only sustainable sources of energy. 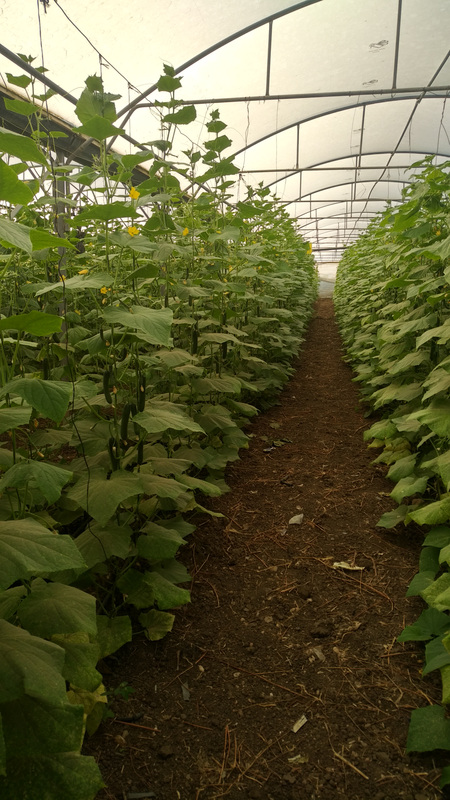 Most of the farm operates through mechanisms created by the family and their supporters including the numerous volunteers and students they host. Fayaz and Mona are dedicated to resisting capitalism, particularly in the agricultural and pharmaceutical industries, and do not buy any fertilisers. Instead their ingenious contraptions use natural sources such as cow manure and fish excretion, to fertilise and run the farm. Furthermore, through using natural resources to generate water, the family can avoid having to buy water from Israel to use on the farm, a phenomenon we describe in previous report on Kufr Al-Dik town (http://iwps.info/2018/11/settlers-invade-leave-death-threats-in-salfit-village/) As Fayaz said “the natural way is freedom”. 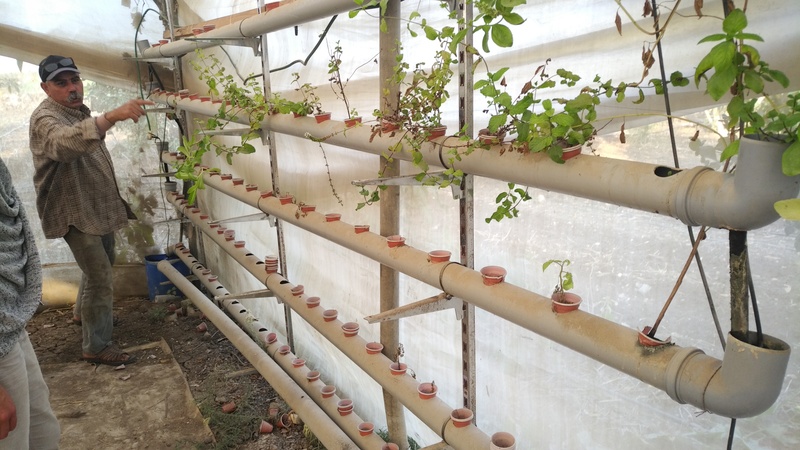 They regularly host groups of international and Palestinian visitors, and are working to increase interest amongst young Palestinian students in eco agriculture and farming. They are happy to have volunteers and spending time at the farm offers the unique opportunity for volunteers to learn about innovative methods of eco farming as well as the realities of the occupation. After meeting with the family, IWPS volunteers felt not only shocked by the difficult situation they are in, but inspired to see such entrepreneurship and to learn how the family have created a bubble of beauty and creativity in such a challenging environment. We fully recommend others to visit or volunteer at Hakoritna farm.